Your home’s level of cleanliness has a significant impact on the health of the household. If you eat well and practice good sanitary habits, yet find yourself often getting sick, your house might be the culprit. You could all be living in the midst of germs, allergens, and microorganisms not visible to the naked eye. So if you think your home is clean, look closer! You may be surprised to see the tiny things triggering your allergies and making your family sick. A healthy home is not expensive and overwhelming to achieve. You simply need to implement a few changes to boost the cleanliness of your house and get the whole family working towards improving the home environment. So how can you reduce, if not eliminate, your exposure to potential health risks? Here are three tips you must implement now to keep your home clean and healthy for everyone. Dust, mold, mildew, and pet dander – all these can trigger allergies, so make sure to keep them to a minimum level or eliminate them by vacuuming regularly. Use a vacuum with a strong suction, carefully gong along the floorboards, into corners, and under furnishings. Of course, don’t forget to clean the vacuum filter and bag after every use or once full. Dish towels and sponges can harbor more food-borne pathogens, germs, and mold than you can imagine if you don’t clean or store them properly. Among the best ways to kill germs on your sponge is to place it in the dishwasher with the drying cycle on, or to sanitize it by wetting it before placing it in the microwave for at least one minute. As for your cloth dish towels, you must wash them frequently in the washing machine using the hot cycle. Your bedroom can also be full of allergens. Dust mites are bed bugs that ruin the quality of air and irritate both allergic and non-allergic people because they lay eggs and produce waste. Add dead skin, pollen, and hair, and voila – you get an allergen-filled combination that results in allergies and illnesses. The best way to fight these pests is to use zippered plastic pillow and mattress covers and to regularly vacuum the uncovered mattress. Also, wash your beddings at least once a week in hot water to kill these bugs. Pesticides effectively kill house pests like mice, ants, and roaches. However, exposure to these harmful chemicals will put your family at risk for different health problems, such as asthma and issues with brain development and learning. Due to these chemical products’ efficiency in killing pests, most homeowners tend to buy even the expensive kind. The problem with these chemicals is that they are silently damaging everyone’s health. Promote better health and save money by preventing a pest infestation and eliminating the need for regular pesticide use. For instance, you must clean up food residue, wash dishes carefully, and keep all your food in tightly sealed containers. But if pests have already entered your home, consider using natural pest control methods. In addition, you should also ditch chemical-based cleaners and use green cleaning products instead. Chemical cleaners have been linked with skin irritation and allergies, asthma, and respiratory problems because of the harmful ingredients that you breathe in and touch every time you clean. Today, there are plenty of natural cleaning solutions to choose from. You can either purchase them from specialty shops or create your own cleansers using common products like baking soda, vinegar, and lemon. Most of these natural solutions are more efficient and a lot cheaper than their chemical counterparts. Cleaning your house can be a daunting task, especially if you don’t know where to start and how to do it. Unless you are equipped with the right cleaning know-how, strategies, and tools, consider enlisting the help of professional cleaners on a regular basis. Home cleaning experts know exactly what areas of your house need more care and attention. Also, they have a system in place to make sure that every corner of your property, including the hard-to-reach and often neglected areas, are completely sanitized, washed and vacuumed. When choosing a maid service, opt for one that specializes in steam cleaning services. 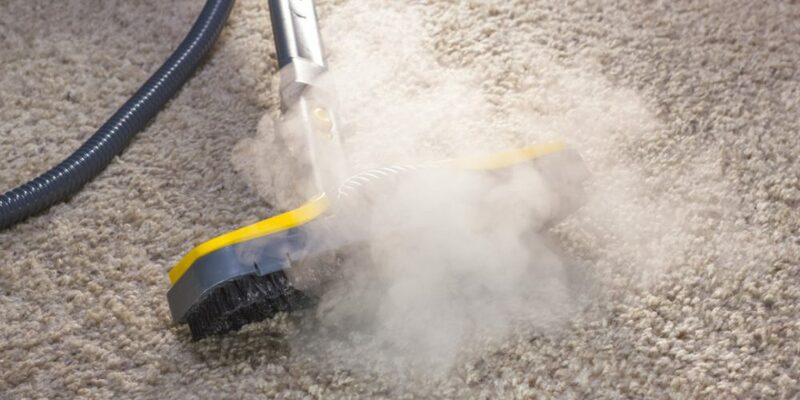 This method of cleaning makes use of high-pressure steam to get rid of stains and kill germs, dust mites, and bacteria. The water is heated to 175 degrees to sanitize and clean different surfaces effectively. Steam is a great tool for cleaning your entire house from top to bottom, including countertops, laundry areas, toilets, sealed flooring surfaces, shelves, and even your kids’ toys. And since it uses water instead of harsh chemicals, it is economical and eco-friendly. Your home makes you feel safe and comfortable, but it can also make you sick. So make sure to keep it clean so your family can be healthy at all times. Keeping allergens to a minimum, choosing greener and safer cleaning products, and getting professional deep cleaning and steam cleaning services are great options to get you started.